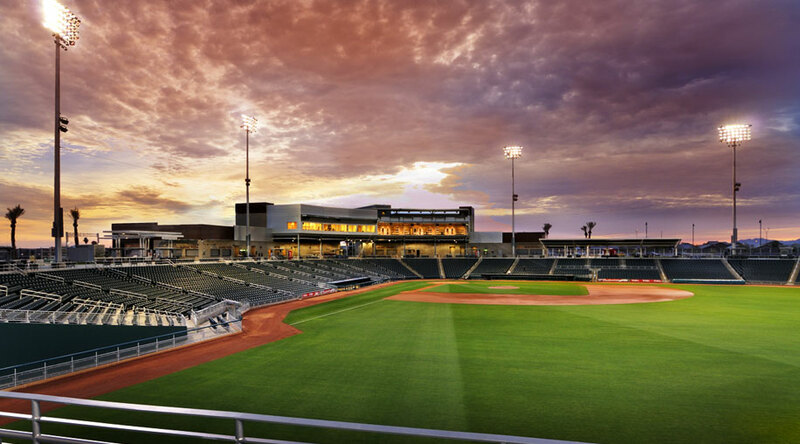 This $108 million, 10,000 seat ballpark is the latest addition to Arizona's 'Cactus League' spring training facilities, and the official home for training operations of the Cleveland Indians and Cincinnati Reds. The ballpark's 'Home Plate Plaza' is the centerpiece of a planned mixed-use development, with retail, high-density residential, office and a hotel/conference center. An iconic sculpture fountain, shade palm grove, and carved sandstone benches are expressed in a stylized 'Desert Oasis' theme.